The former eBay comms leader took on the newly created role of corp comms head at Charles Schwab earlier this week. 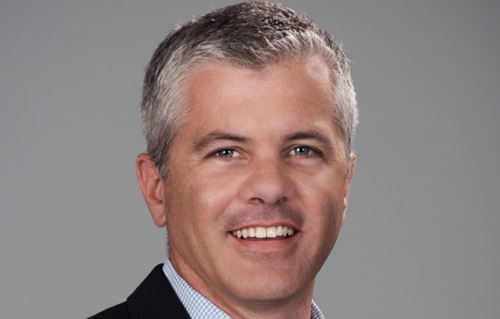 SAN FRANCISCO: Charles Schwab has brought on eBay’s global comms VP Joe Carberry to serve as SVP and head of corporate communications. Carberry started his role at Charles Schwab this week, reporting to CMO Jonathan Craig, according to a company representative. The position is newly created, combining a number of functions that were previously separate, including employee and executive comms, PR, and events. Carberry is overseeing roughly 75 staffers, a Charles Schwab representative confirmed. In May, Carberry departed his role as VP of global communications for eBay Marketplaces, his LinkedIn profile states. He had served in the position since April 2013, leading all communications for eBay’s Marketplaces business unit, which includes eBay, eBay classifieds, and StubHub. "[Carberry] made great contributions during his time at eBay and we wish him much success in his new role," said Abby Smith, eBay’s senior director of corporate communications, via email. Carberry left eBay on the cusp of its spinoff from PayPal, which is expected on July 17. Following the split, Daniel Tarman, EVP and global head of corporate communications at investment management firm PIMCO, will join eBay as CCO. At the moment, eBay’s CCO is Alan Marks, who told PRWeek last month that he plans to take some time for personal passions before making his next career move. Other eBay execs are planning to depart after the split, including CEO John Donahoe, CFO Bob Swan, SVP and general counsel Michael Jacobson, and SVP of global human resources Beth Axelrod. Meanwhile, Franz Paasche joined PayPal in April as VP of corporate affairs, and Paul Cohen signed up as VP and global head of corproate communications the month after. Before joining eBay, Carberry served as a partner at Brunswick Group for nearly three years. He also previously served as president of the western region for MSLGroup. Prior to that, he worked for Visa for roughly nine years as head of global public affairs. Carberry started his career as press secretary for San Diego Mayor Susan Golding.